Contains various sizes of Stretchable Shock Cord and fittings. 1/8" X 500' Roll Shock Cord - White/Black ..
1/4" X 500' Roll Shock Cord - White/Black ..
3/8" X 12' Shock Cord - Roll Return Replacement. 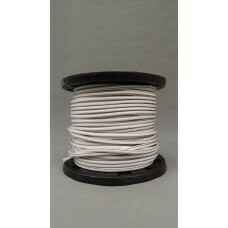 11’L replacement for a 96” W Trailer, 12’L re..
3/8"X 100' Roll Shock Cord - White/Black. Does about 8 trailers a roll. 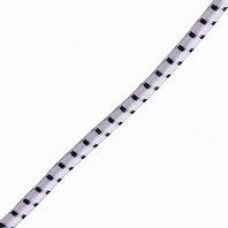 ..
3/8"X 300' Roll Shock Cord - White/Black ..
1/2"X 150' Roll Shock Cord - White/Black ..
3/8" (9 Mm) Shock Cord Hook - Black Plastic. 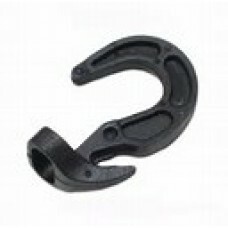 Attaches anywhere on a length of shock cord to provide ..